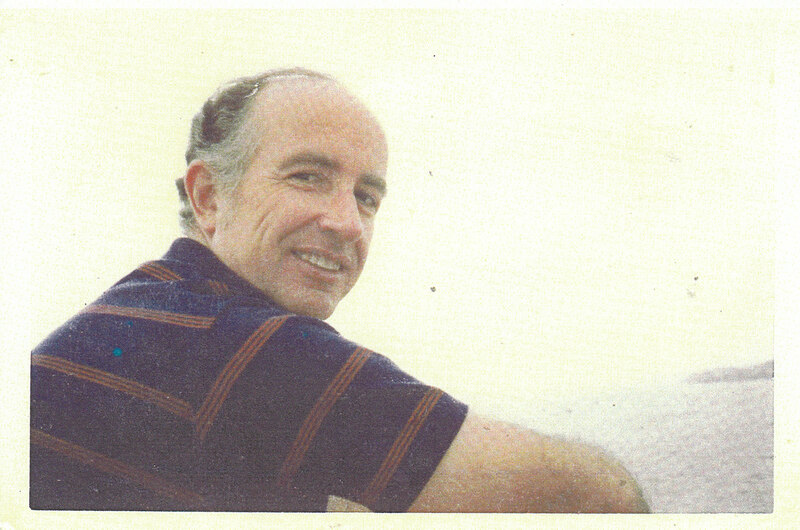 Diagnosed with dementia in 1997, my husband, Jim, lived at home during his illness and died there in January 2006. I wish this story were fiction, but it is not. Jim might have considered my writing about him a betrayal, and ‘betrayal’ is the word he would have used, or he might have jokingly threatened to “break my legs.” He once said he would do just that if I ever looked at another man. While I had no such plans, Jim was an insecure guy. Far from a betrayal, this is both a love story and an attempt to reach out to others who are living through or who will live through a similar tragedy. It is written in the hope that others might benefit from what I learned as the caregiver of a dementia victim. Only then will Jim’s cruel affliction serve some purpose, because it might help others feel less lonely, bewildered, angry or frustrated than I did, shorten the dreadful learning curve, or encourage others to ask more questions and make fewer assumptions; because it might remind members of the health care industry – from physicians to orderlies, from agency administrators to certified nursing assistants (CNAs) – that dementia victims and their loved ones are human beings who deserve respect, kindness, empathy and patience, so often lost in our fast-paced society. The diagnostic process I describe was painful and disappointing; perhaps someone else’s might be easier. Caring for Jim was exhausting; perhaps someone else’s might be less draining. Losing Jim this way – incomprehensible. I offer no advice about repairing a broken heart. I can do nothing for mine. During the years of Jim’s illness, when I overheard people arguing over what to buy or where to eat or what store to go to, I wanted to walk over to them and say, “You are wasting precious time. You never know what might happen, what may be taken away.” In fact, someone once said to me, “You must have just realized what you lost.” No, happily and sadly, I knew. Jim probably suffered from Lewy Body Dementia (LBD). Why ‘probably’? Only an autopsy would have been definitive, but on the day he died, too stunned, I forgot to remind the funeral home to send his remains to the Alzheimer’s Disease Research Center (ARDC) at Duke University. Most people are probably more familiar with Alzheimer’s Disease (AD) – as one CNA called it, ‘Old Timer’s Disease’ – and use the name for all dementias. Sadly, there are others. According to the Alzheimer’s Association 50% to 70% of dementias are Alzheimer’s; there’s also Parkinson’s Disease with Dementia (PDD), Creutzfeldt-Jacob Dementia (CJD), Normal Pressure Hydrocephalus (NPH) and Pick’s Disease (PiD), to name a few. These remind me of the Roosevelt years: SEC, TVA, FDIC – initials designed to make a country well, unlike the ones listed above which are destructive, heartrending initials for illnesses that steal the victims from the people who love them and from themselves. With these illnesses, there are no ‘long goodbyes’; that phrase is too genteel. Watching someone lose his or her mind and body is not polite. It is rude and mean-spirited. True, it can be ‘long’; for us, it was almost a decade. Tragically, these neurodegenerative illnesses affect many lives, and the number of dementia sufferers is expected to rise significantly over the coming decades – with no cure to date. In December 2005, the Lancet reported the findings of a major study indicating that, by 2040, the number of victims will be a staggering 81.1 million people, with a diagnosis every seven seconds. According to the 2010 Alzheimer’s Facts and Figures, 5.3 million people have Alzheimer’s in the United States. I remember a physician saying, “People in nursing homes either have dementia or are about to get it.” While these diseases are spoken about in terms of millions; they are about individuals, the victims themselves and the people who love them – the caregivers. These diseases are heartless to victim and caregiver alike; I still see the terror in Jim’s eyes when he didn’t recognize me, or his own surroundings, and I still feel the heartache when I could do nothing to help him. Dementia brutalized him and stole the love of my life from me. It altered him, us, and me. Jim was neither wealthy nor powerful; he was not an Alzheimer’s sufferer like Ronald Reagan, Iris Murdoch, Charles Bronson, Sargent Shriver, Perry Como or Charlton Heston, nor a Parkinson’s victim of the stature of Janet Reno, Michael J Fox or John Lindsay. Jim’s picture did not appear on the front page of the Enquirer, the London Times or the New York Times when he died. He was simply a gentle soul and a good man. This book is divided into four sections: Part One describes our life together before Jim’s illness and the first signs that all was not well; Part Two tells of our desperate search for a diagnosis and the beginning of his decline; Part Three speaks of his continuing deterioration and my acceptance that I needed help caring for him and the implications of that realization; Part Four is about the emotional and economic costs associated with his illness. This is not a medical text; it is the story of our experience with dementia and the lessons I learned as I tried to be his voice, to maintain his dignity and to care for him and for me. Conspire to lie about the season. And the sweet touch of a gentle hand. To be happy in small ways. Wonderful photo of Jim – thank you so much for sharing this with me. It is beautifully written and I know that your work will do so much good. I hope that we talk soon.